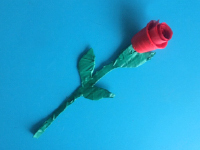 A rose that will never wither! The perfect Valentine’s Day keepsake. 1. Gather your material. 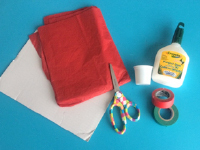 You will need heavy cardboard, red tissue paper, red and green electrical tape, scissors, white glue and/or hot glue, and an empty coffee pod (K-cup). 2. 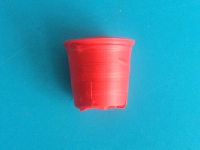 Wrap the red electrical tape around the coffee pod, starting a few centimetres above the top so you can fold it inside. 3. Continue wrapping until the pod is completely wrapped in red tape, including the bottom of the pod. 4. 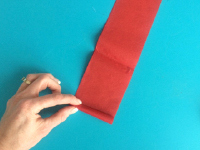 Overlap several sheets of red tissue paper and cut them so you have several strips of paper that are somewhat wider than the height of the coffee pod. 5. 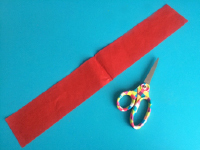 Roll up the overlapped layers of tissue paper. 6. 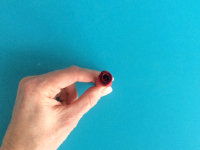 You will end up with a tight roll that that will become your rose bud. 7. 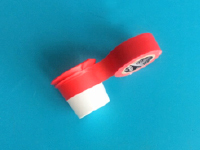 Generously apply white glue inside the coffee pod, on the bottom. 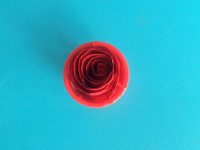 Delicately insert your tissue paper rose bud inside. It will unroll itself somewhat. 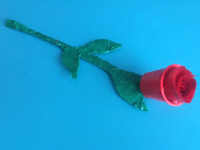 Add a few dots of white glue here and there on the sides to hold the tissue paper rose bud in place. 8. 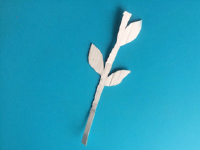 Cut a long stem with or without leaves out of the heavy cardboard. For younger children, avoid adding leaves to make the next step easier. 9. 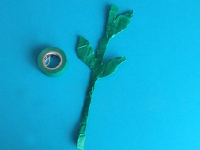 Wrap the green electrical tape around the stem and leaves.